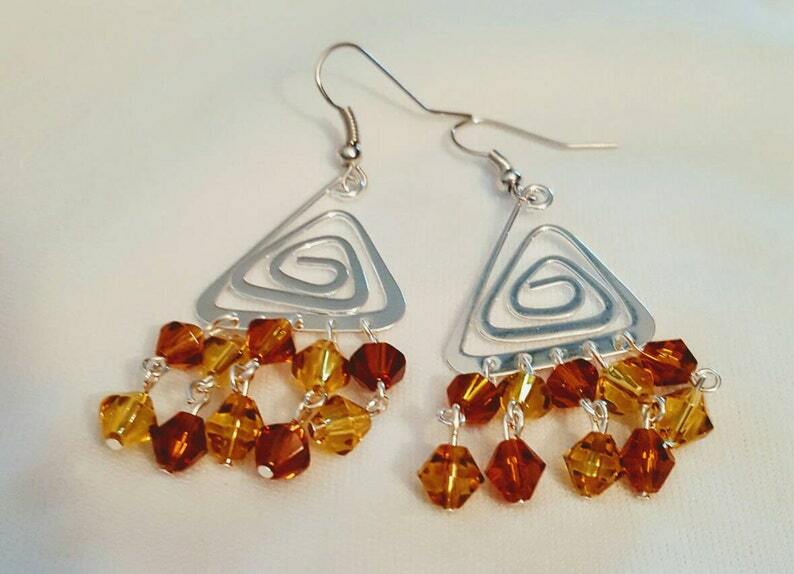 Beautiful triangle spirals with dangling crystals. Made with silver plated triangles. Can be made with Sterling silver ear wire or normal (if you need Sterling Silver, please put that in the note so I can make sure they are switched out!) So gorgeous, I kept the first pair made for myself!